With an expansive range currently available, and more being steadily added, InStyle Succulents aims to bring together the most comprehensive collection of succulents and designer plants to add some flare to your home, garden, courtyard and life. Special care has been taken to select plants that will thrive in pots or the garden, both indoors and out, with minimal maintenance and little effort required to grow and look spectacular. These plants are specifically suited to Australia’s tough climate gardens and thrive on neglect. Their low water requirement, tolerance of hot conditions and ability to grow in small spaces have made InStyle Succulents the perfect choice. 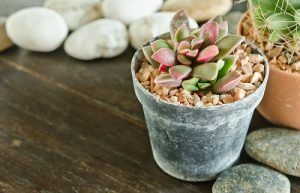 Succulents have become increasingly fashionable with interior decorators using them like pieces of art to add style and a touch of green to homes and gardens. We’re excited to give you a range that celebrates this unique type of plant, and brings them to your home and garden in a fresh and invigorated way. Follow us on Instagram and Facebook to keep in touch!